This summer, SALT has another community initiative that promises to cool you down. SALT has been out on the road, finding local watermelon sellers that are committed to getting their hands on the best ones they can sell to their customers. SALT is now working with them as main fruit suppliers for the all-new limited edition Watermelon Softie. Support and buy from our local suppliers. Collect the SALT stickers from your watermelons. 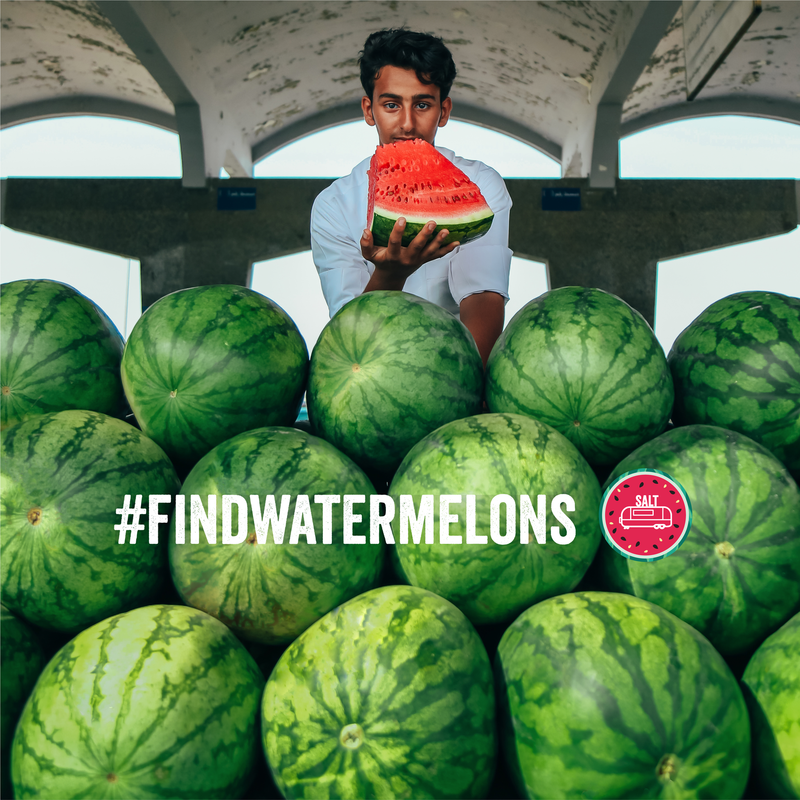 Visit any SALT location to present the sticker and claim your Watermelon Softie for free! Enjoy great summer music and art activities at the ultimate SALT Summer Roadtrip on these dates and locations. The Watermelon Softie is available across all SALT locations for AED 21. Images and videos are downloadable from the links. Beating the heat has never been more memorable and meaningful.